”You have the right to remain silent. Anything you say or do can and will be used against you in a court of law. You have the right to an attorney. If you cannot afford an attorney, one will be appointed to you. Do you understand these rights as they have been read to you? Anyone who has seen a court drama, crime show, or law enforcement program can likely recite the Miranda Warning listed above. But, if placed under arrest, do you understand its full meaning and your rights as they are read? Here, we would like to offer an explanation of the Miranda Warning to help you better prepare and defend yourself if you need to. First things, first. The Miranda Warning is a legal requirement to be read to any person who is placed under arrest before they can be questioned. If the Miranda Warning is not read and the arrested person does not reply with a positive response that they have understood them, any information gained in the line of questioning cannot be used by a prosecutor. It is important to understand that this does not negate the arrest or charges, nor does it mean that the person who was arrested avoids trouble or punishment. 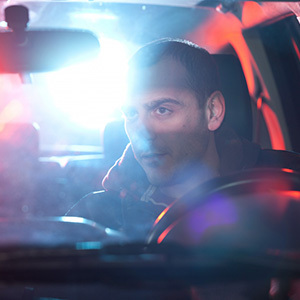 The Miranda Warning is essentially a reminder of your Fifth and Sixth Amendment rights. Specifically speaking to the portion about “bearing witness against himself.” You are afforded the right to not answer the questions asked of you but should understand that if you choose to, you have waived your Fifth Amendment right and a prosecutor can, and will, use the information against you in court proceedings. 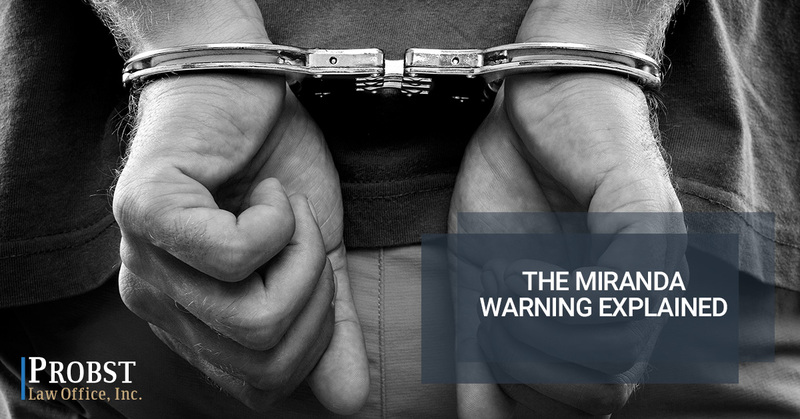 It is important to understand that your Miranda Warning only has to be read if you are under arrest. If you are talking to law enforcement and not under arrest, anything you say is fair game. It specifically explains the right to have the assistance of counsel for your defense and the access to a free public defender in the event that you do not have the means to hire your own attorney. This portion of the Miranda Warning is to let you know that if you do not request counsel, you have waived your right to have counsel present. It also serves as a reminder that, if at any time, you decide you want or need counsel, it should be afforded to you before more questions are asked of you. Once you request an attorney, any questions asked or answers provided are inadmissible in court. Again, this does not mean that any information provided will not be called into question nor will you avoid punishment for the information, but that the prosecutor cannot use the information in the trial. The last sentence requires the arresting law enforcement officer to verify that you understand the information provided to you and that all choices made are done so despite being informed. Your acknowledgment is essentially consent to have anything you say used in your trial. If you do not understand, the law enforcement officer is authorized to use other means or terms to explain your rights. However, if you speak the same language and have the mental capacity to understand the information, and refuse to state that you do, the arresting officer may have a witness (or camera) present to prove that your rights were read to you and apply. By no means does refusing to state your understanding mean that they were not read or that anything afterward is protected information. If you find yourself under arrest, the best course of action is to invoke both of your rights — to say nothing and to request your lawyer present. If you find yourself under arrest and facing interrogation, don’t hesitate to contact a trusted criminal defense attorney in Columbus, Michael Probst, Attorney at Law. The team at Probst Law Office will begin building your defense as soon as you contact us and can offer you legal advice to help your situation. Contact us for your consultation today!